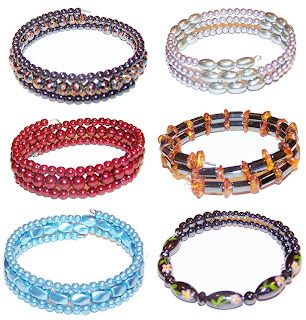 including hand-painted magnetic beads, beautiful magnetic pearls in fabulous colors and shapes, also real amber accents! It's been a long hot dry summer and I am looking forward to all things going dormant giving me time for developing new projects. During the summer nights I designed many new magnetic bracelets, bangles, cuffs and magnetic necklaces to go with Vital Wonders new web online presence. I will be switching from the Miva Merchant shopping cart, which has turned into a weighty albatross and SEO unfriendly; and I will build new wonderful sites for both www.vitalwonders.com and www.iluvjewelry.com - to come in early 2013. I have developed new magnetic cuffs & bangles seeing the popularity of this easy-wearing loss-preventive style. These bracelets are strung on memory wire so the coil is permanent. No chance of unwinding like the wrapped bracelets. Plus magnetic cuffs and bangles can't fall off or become attracted to some heavy metal and disappear from your wrist. 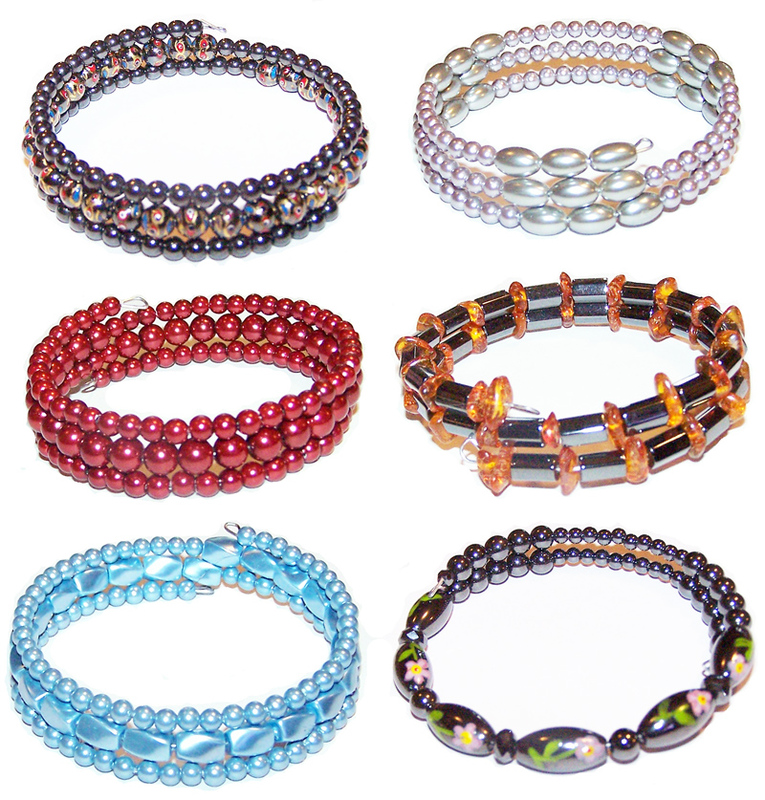 If you ever have trouble losing magnetic bracelets try a memory wire magnetic cuff or bangle. You can order from 1 1/2 coils to 4 coils [or more in special orders]. Also this style of magnetic bracelet mostly alleviates the attraction of silverware, if that aspect bothers you. So easy, so good looking, can't be lost & never unwinds!